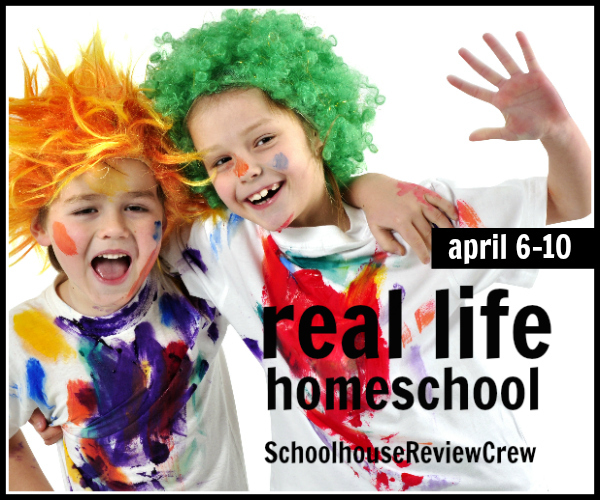 Discover real life in other homeschools with the Schoolhouse Review Crew bloggers! Join the blog hop to read more! So to finish up the Real Life Homeschool series, I took the advice of a few other bloggers and decided to get the girls' thoughts about homeschooling. It's been awhile since my oldest has shared her feelings towards homeschooling on the blog, and I'm not certain that my youngest ever has shared hers here. What do you enjoy most about learning at home? R: I like doing school at home because we get done faster, and we can spend more time together. D: We are able to do more subjects. What is your favorite learning activity? R: I like to do cursive. D: I like to do math. What are some things you would like to learn? D: I want to learn about the elements and Chemistry. R: I want to explore our new state more. D: Math because I don't always understand. R: Cursive because sometimes I do it wrong, and I'm not so good with lots of the letters. What do you think about having your mom as your teacher? R: Fun because we get to do activities. D: Cool because sometimes she is funny. Share a little advice with other kids who might start homeschooling. D: Homeschooling may not be easy, but it is fun. My favorite part of their interview is the fact that their favorites are also their most difficult subjects. It makes me happy to see that the struggle doesn't make them run away, but instead they embrace their weaknesses and keep pushing forward.